Fans in Philadelphia have been trying to trust “the process.” But you can only trust anything for so long if it doesn’t begin to bear fruit. With 52 regular season wins, there was reason to believe in it. However, until there is postseason glory to speak of, “the process” can’t be deemed a success. As of Tuesday night, there is. The 76ers entered Game Five of their opening round series against the Miami Heat with a 3-1 lead. With the potentially decisive game being played at home—and with newly freed rapper Meek Mill in attendance – the timing couldn’t have been better. But as the first half came to a close, it was far from clear who would win the game. Philadelphia took a 23-21 lead after the first quarter. But then Miami outscored Philly by two in the second to tie the game up at 46-46 at the break. Neither team played especially well in the first half. That meant whoever got their act together first would likely go on to win the game. Miami made the first basket of the second half, but then the 76ers went on a 13-2 run and took control of the game, 59-50. The Heat would get within seven but couldn’t close the gap. Philly led by as much as 18 during the third. But entering the fourth, they led by 14 points, 80-66. 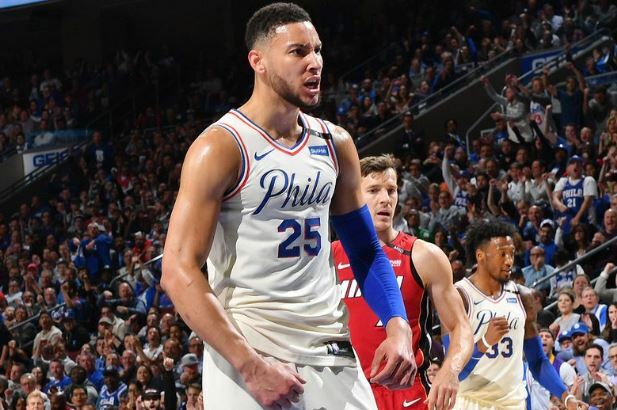 The 76ers coasted through the fourth as the Heat were unable to mount a serious challenge. J.J. Redick closed out the scoring with a pair of free throws with 25.8 seconds remaining to make the final score, 104-91. Redick led the way for the 76ers with 27 points after hitting six of 13 shots including five of ten three-pointers. Joel Embiid and Ben Simmons each recorded a double-double; Embiid scored 19 points and pulled down 12 rebounds. Simmons scored 14 and had ten rebounds. Kelly Olynk led the way for the Heat with 18 points off the bench. Dwyane Wade had 11 points, five rebounds, and five assists in what could be his final NBA game. 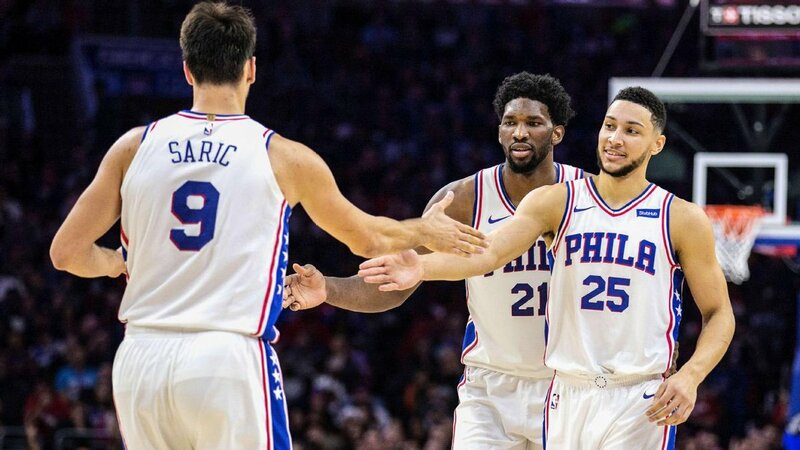 The 76ers will now have to wait for the Milwaukee Bucks and Boston Celtics to finish their series to find out who they are going to play in the Conference Semifinals. They faced off in Game Five earlier in the night. Boston won a low-scoring affair, 92-87, to take a 3-2 lead. Game Six will be Thursday night in Milwaukee. If the Bucks win, the Series will head back to Boston for Game Seven Saturday night.